The default settings for the Arabic alphabet on most operating systems and programmes are just weird. 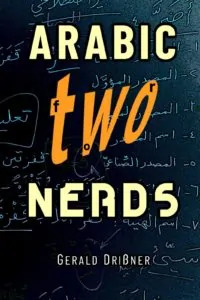 I recently wrote that reading Arabic (newspapers, books, etc.) on the Internet can be irritating. 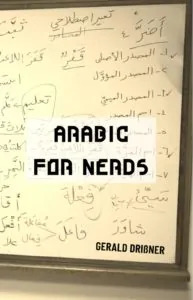 Many people told me that they would love to read more Arabic on the Internet but they get tired after some time. The Arabic script, for some reason, is always smaller compared to Latin characters. Furthermore, the font is sometimes weird and might even produce mistakes as not all characters are correct. For Chrome – download it here. For Firefox – download it here. Huruf makes reading on-screen Arabic easier by increasing the font size of all characters within the unicode ranges of the Arabic script; this means that Huruf will work on any language that uses the Arabic script, not just Arabic (e.g. Persian, Punjabi, Urdu, etc). You can set the font size and line height to be up to 150% of the default value. This is how Huruf works – it enlarges the Arabic script and uses a better font. (c) by Huruf. Furthermore you can choose your preferred Arabic font. By default it is Droid Arabic Naskh which is one of the best free fonts available. This type of font is is optimized for reading Arabic script on screens. The designer paid attention that the large “loop height” and “tooth height” help prevent readers from having to zoom web pages to a larger size in order to read them. The traditional Naskh forms are softened for less formal documents such as periodicals and journals. Note 1: If you use other browsers, such as Safari or Explorer, or if you encounter problems with the extension Huruf, Alex Strick van Linschoten, a passionate Arabic and Farsi language lover, offers some approaches to solve this problem on his blog. Note 2: In an article published on wired.com the author explains why typeface desing has a western-normativity problem. The simple answer is that most Arabic typefaces have been designed by Latin-langauge typographers. I am curious about how to apply this wonderfulness to apps… I installed BBC Arabic on my phone, get notifications all the time (which I love), but when I go to try to read a given story, it’s challenging and tiring because of this very thing you’ve highlighted. I realize the answer is probably to just open a page in a browser, but the quickness of the app is a value. I’m on firefox, and there is zoom in and zoom out that you can use on English and Arabic, doesn’t let you choose the font though. That sounds like a cool feature. are too big for me..
Can I adjust the font size or disable all together and how? click the right side of your address bar (where you enter the url) and drag it to the left – until you see all icons. You will notice a symbol with the Arabic letter Ayn. Then click on the symbol (left or right mouse click) and you will be able to adjust font and size. If it doesn’t work, try to go to chrome’s extensions (chrome://extensions) and look for the symbol with the Arabic letter Ayn. 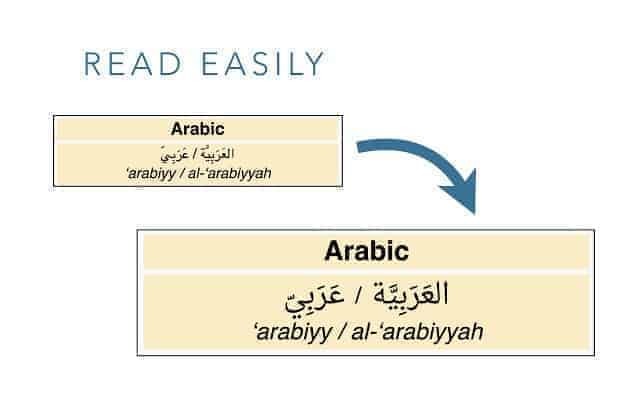 I think the reason why Arabic characters look much smaller then Latin characters, or pretty much any other script is the space reserved for diacritics and for ligatures. Esp. when you look at the Alif: أَ or إ . In some fonts character combinations like لح will be rendered as a literature, with the characters stacked vertically rather then horizontally. Does anyone have an idea how to fix the issue without an extension? for example on restricted computers or android ? Good tips and sharing, many thanks!